This one is tasty Palak Paneer Pakoras to try at home. Paneer pieces fried with spices and then rolled in palak leaves and dipped in spiced gram flour and shallow fried . Mix chilli, turmeric and garam masala powders with 2 tsp water and salt.Put paneer pieces in that masala and mix well. Heat 2 tsp oil in pan.shallow fry the spiced paneer pieces and saute for 5 mins. Allow it to cool.Then roll each paneer piece in a palak leaf. Mix the gram flour with ground masala, salt and 3/4 cup water. Add salt and mix well so that no lumps should form. Heat oil in the frying pan .Dip the palak rolled paneer pieces in gramflour batter and shallow fry on bothsides in oil,till golden brown. 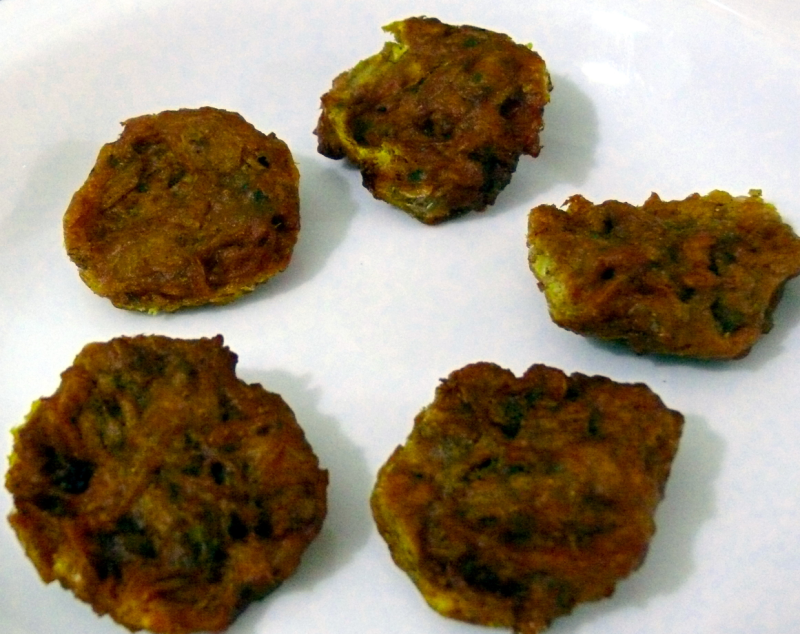 Similarly make all palak paneer pakoras. Serve hot and fresh palak-paneer Pakoras with tomato ketchup or coriander(coconut) chutney.